Dr Chris Moss and his wife Andrea flew up to Sydney from Melbourne to launch their highly anticipated skincare range Liberty Belle Rx over an exclusive lunch at La Porte Space. 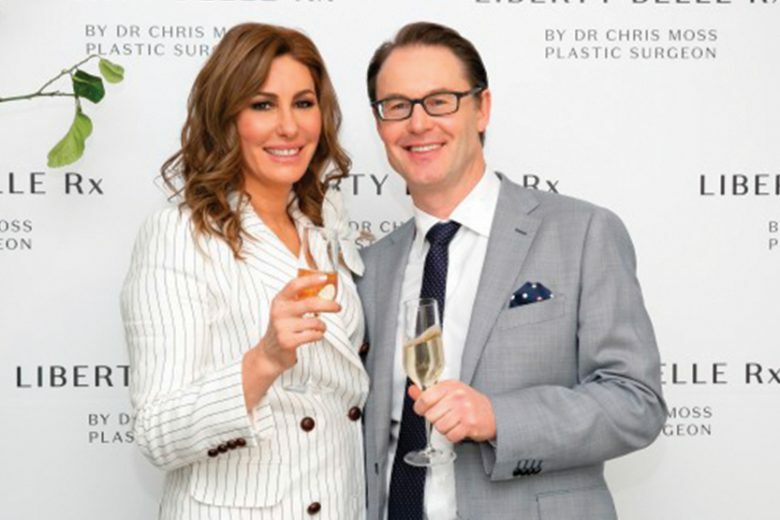 Dr Moss, plastic surgeon to the stars and Andrea, formerly on The Real Housewives of Melbourne, said the “results driven range combined scientifically proven actives and naturally sourced botanical ingredients”. 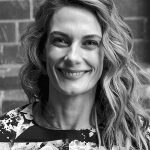 Dr Moss opened his facial plastic surgery practice in 1999, and in 2008, Dr Moss and Andrea founded Liberty Belle Skin Centre in Toorak, where a team of doctors, nurses and dermal clinicians keep patients and clients looking refreshed. Andrea said with the clinical knowledge gained “from caring for more than 35,000 clients, Liberty Belle Rx was born”. 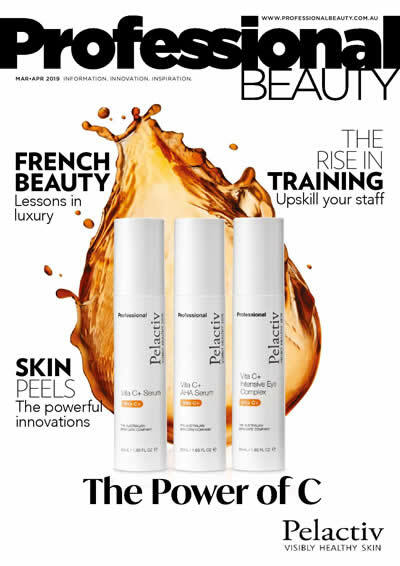 The 14-strong range includes a variety of on-trend names such as Superhero (a lightweight HA hydration cream with B3, resveratrol and collagen peptide), Bright Star (a patented brightening complex with vitamin C and ferulic acid), Game Changer (a complexion perfecting gel), Glam Squad (a triple blend of hyaluronic acid, B3 and B5 Superstar SPF50+ (a broad spectrum physical zinc sunscreen). At the launch media and guests were given their own personalised surgeon’s coats to put on while nibbling on canapes and sipping champagne. They then sat down to a variety of shared plates while Dr Moss and Andrea informed and educated guests about the range. Each guest was given a skin diagnosis and given the new range to take home and try for themselves. The range is free from parabens, synthetic fragrances, sulphates, DEA, MIT and artificial colours. It is made in Australia and not tested on animals.